Scheduled events are subject to change. 6:30 p.m. to 2 p.m. 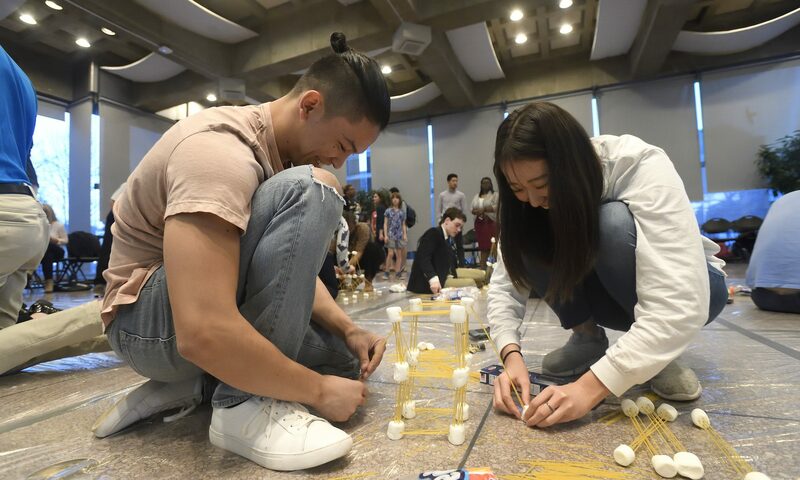 Build Day is an annual event that seeks to foster creative brainstorming around real global health challenges. This year’s Build Day will feature soldering workshops as well as a mini-design competition. This event is hosted by the Johns Hopkins chapter of Engineering World Health. 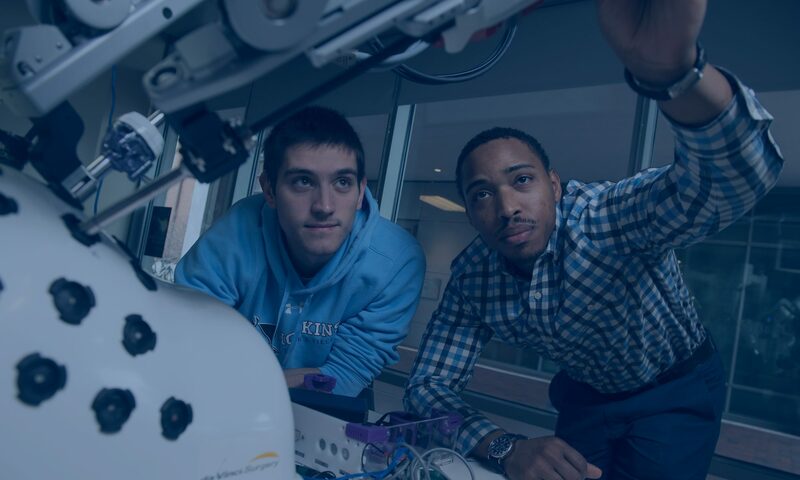 Current students and alumni with an interest in the aerospace industry are invited to a dynamic discussion hosted by the JHU Aerospace Affinity group. Participants will gain insight into a variety of aerospace career paths for all engineering disciplines. Come join the Johns Hopkins Rocketry Team and learn the science behind what makes rockets fly! The AstroJays will be hosting a water-rocket workshop open to students of all ages. Talk with the team to learn about all things space and engineering related and get a chance to build and launch your very own rocket. Johns Hopkins University will be closed on Wednesday, Feb. 20 due to inclement weather. As a result, these events have been canceled and will be rescheduled. We will share more information about the rescheduled events as soon as it is available. Participants will build small “boats” out of aluminum foil and compete to see which design will hold the most weight before sinking in a tub of water. 9:15 a.m. to 1:45 p.m. The Barclay Elementary/Middle School will partner with the Center for Educational Outreach for a field trip to the B&O Railroad Museum. Barclay students will tour the museum and participate in a LEGO Simple Machines engineering program. This event is part of the Barclay-Hopkins STEM partnership and is not open to the public. Current students are invited to meet with industry employers for lunch, networking, and resume feedback. This event is hosted by the Career Center STEM & Innovation Academy and the Johns Hopkins chapter of Engineers Without Borders. Please note: Registration for current students has reached capacity. To be added to the waitlist and notified if space becomes available, please email Lee Gerstein. Alumni may still register using the registration form. 8 a.m. to 2:15 p.m. So you think you want to be an engineer? Come out and test your engineering design skills at the Mechanical Arm Challenge! Using household tools and materials, students will design, build, and test a mechanical arm to pick up small items (e.g., tennis balls, stuffed animals, etc.). Sign-up in groups of up to three students to compete. Participation not limited to just engineering students.